Flights to Pakistan from Abu Dhabi and Al Ain were temporarily suspended on Wednesday until further notice, according to Abu Dhabi Airport. In a statement, Abu Dhabi Airport said the cancellation of all flights occurred due to the closure of Pakistan’s airspace and airport. “Due to airspace and airport closures in Pakistan, all flights from Abu Dhabi International Airport and Al Ain International Airport, on all operating airlines to Pakistan, are on hold until further notice. Passengers are advised to contact their respective airlines for flight updates. The safety and security of travelers is our number one priority and staff across Abu Dhabi Airports are actively working to support affected guests. Further updates will be made available in due course”. Travelers flying out of the UAE to Pakistan have been advised to continue monitoring the status of their flights in view of the escalating conflict between the two countries. UAE-based carrier flydubai have just dropped Wednesday’s flights from Dubai to Faisalabad, Multan, Sialkot and Karachi in Pakistan, according to the airline’s flight tracker. Emirates airline also cancelled flights to Islamabad, Karachi and Lahore, according to its website. But flyers were told to continue monitoring the situation and check any possible flight changes. “Following the closure of the airspace in Pakistan flydubai has advised passengers to check the flight status on flydubai.com. flydubai is reviewing its schedule and further updates will be provided,” flydubai said in a statement to Gulf News. Indian aviation watchdog DGCA on Wednesday said operations at the nine airports, which were shut earlier in the day, have resumed “as of now”. India has announced the closure of 9 airports; flights on all of Pakistan’s major airports suspended. Pakistan Army spokesperson Major general Asif Ghafoor told a press conference Wenesday that Pakistan has captured two Indian pilots. One is in custody while the other is under treatment in a hospital. “Today’s action was in self defence; we don’t want to claim any victory. The way we set out target and made sure that there were no collateral damage; the in-built message was that despite out capability, we look towards peace,” said the army spokesperson. “Today morning, Pakistan Air Force engaged with six targets at the LoC. Because we are a responsible state and want peace, we decided that we will not use any military target. “Pakistan is not pushing the environment towards war,” he made it clear, adding Pakistan deliberately avoided escalation. Pakistan has also stopped its domestic and international flight operations from Lahore, Multan, Faisalabad, Sialkot and Islamabad airports. Heavy firing started on the Line of Control (LoC) on Wednesday between Indian and Pakistani troops in Jammu and Kashmir’s Uri sector, defence sources said. “Pakistan Air Force undertook strikes across LoC from Pakistani airspace. Sole purpose of this action was to demonstrate our right, will and capability for self defence. We do not wish to escalate but are fully prepared if forced into that paradigm,” Mohammad Faisal, Pakistan’s MoFA spokesperson has said. 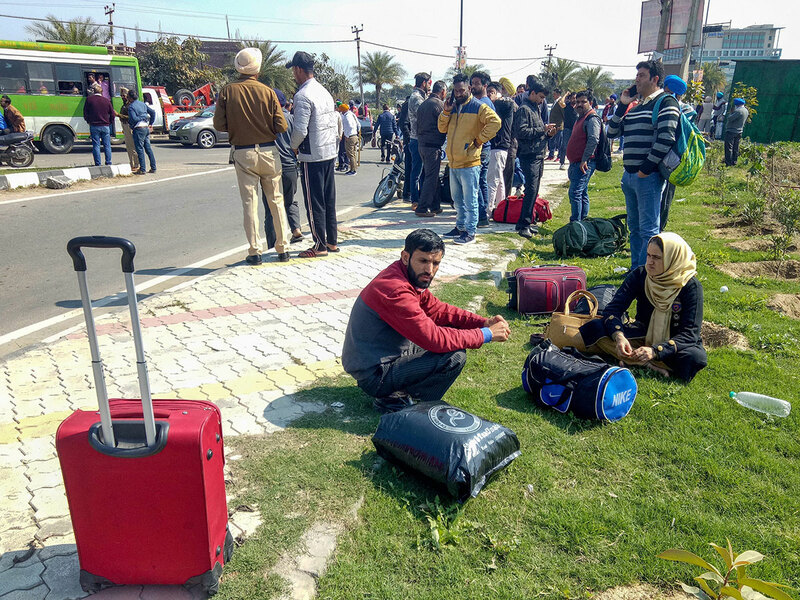 Several airports including Srinagar, Jammu, Leh, Amritsar and Chandigarh have been closed for civilian operation, airport sources said on Wednesday. According to informed sources, the airports’ facilities are currently being used by the Indian Air Force (IAF). Consequently, no commercial operation will take place in these airports. Several flights to and from these airports have either been diverted or put on hold. “Due to airspace restrictions, flights to and from Amritsar, Srinagar, Chandigarh and Jammu are currently on hold. Customers are requested to check flight status before commencing their journey to the airport,” Air Vistara tweeted. Pakistan Air Force’s F-16 that violated Indian air space shot down in Indian retaliatory fire 3KM within Pakistan territory in Lam valley, Nowshera sector. The pilot has got himself ejected from the plane as it went down. Pakistani troops Wednesday intensely shelled Indian posts in Uri Sector of Jammu and Kashmir, officials said. The shelling comes a day after the IAF carried out air strikes on Jaish-e-Mohammad terror camps inside the neighbouring country. Pakistani Army fired mortar shells towards Indian posts in the early hours of Wednesday, a police official said. He said there were no reports of any casualties so far. 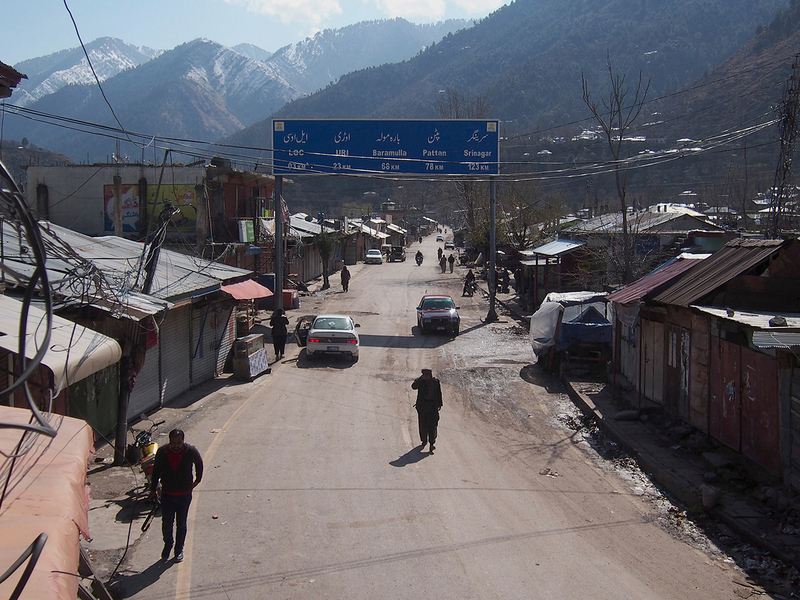 The official said the Indian Army retaliated to the Pakistani action in an equal measure. The exchange of fire across the LoC in Uri sector was going in when reports last came in, he added. Reports say Pakistani jets have violated Indian airspace and dropped bombs. The jets entered border areas of Nowshera sector in J&K’s Rajouri district, reports said. Pakistan Air Force jets violated Indian airspace in Rajouri sector, dropped bombs near Indian army force. No reports of casualties yet, ANI has tweeted. An Indian Air Force (IAF) jet crashed on Wednesday in Budgam district of Jammu and Kashmir, killing at least one person, officials said. 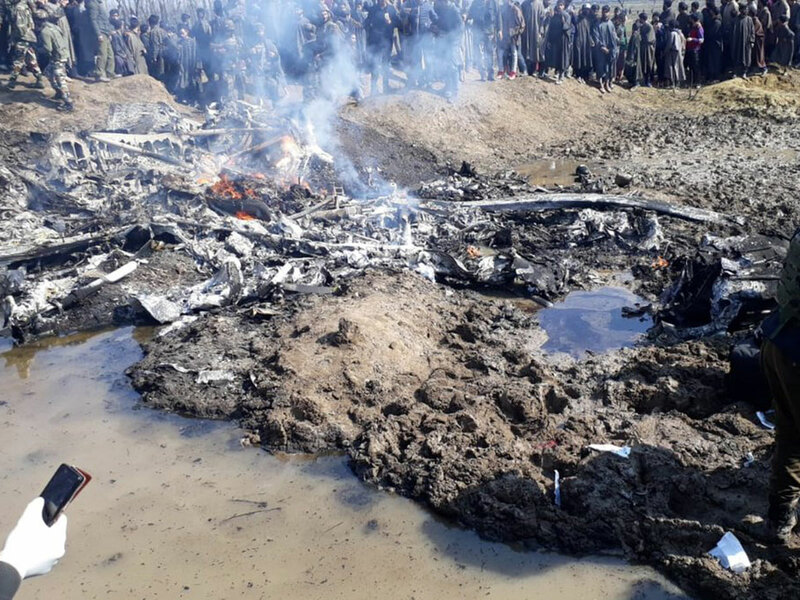 The Indian fighter jet crashed in an open field near Garend Kalaan village in Budgam at 10.05 am, Indian officials said. This came after Pakistan claimed that it has shot down two Indian Air Force jets, in a major escalation of the Kashmir conflict, according to the BBC. A Pakistani army spokesman said one of the planes had fallen inside Pakistan and a pilot had been arrested. There is no immediate confirmation from India, which claimed to have shot down a Pakistani aircraft. The jet broke into two and caught fire immediately, the officials said, adding one body was seen near the site crash. The identity of the deceased could not be confirmed immediately. The Indian military said the fate of the pilots was not known. The aircraft that crashed in Jammu & Kashmir’s Budgam was IAF’s Mi-17 transport chopper. Visuals from the crash site of a military aircraft in Jammu & Kashmir’s Budgam. Pakistani Ambassador to UN Maleeha Lodhi has said that as a target of aggression, Pakistan will respond to India at a time and place of its choosing. Lodhi, permanent representative of Pakistan to the UN, held a series of intense meetings with key diplomats and UN officials following Tuesday’s violations of the Line of Control (LoC) by Indian war planes that worsened the already dangerous situation between the two countries. “We will not sit back,” she told BBC radio when asked whether Pakistan will respond to India’s attack. Ambassador Lodhi said that following the Feb. 14 Pulwama incident, Prime Minister Imran Khan offered investigation if “actionable” evidence was provided but none was forthcoming. PM Khan also proposed discussions and dialogue, but regrettably India responded by launching an attack on Pakistan in violation of UN Charter and international law, posing a threat to international peace and security. “This is not how countries act when responding to challenges,” the Pakistani envoy said. Pakistan, she said, stands for peace and resolving disputes through negotiations, but India would not have it that way. The Pakistani envoy rejected as absolutely untrue the Indian claims that it hit a Jaish-e-Muhammad training camp, and she warned that a dangerous situation is evolving. In this regard, the Pakistani envoy called on the International community to respond because the situation could spin out of control. India wants to avoid any “further escalation of the situation” after conducting “pre-emptive” air strikes against militant camps in Pakistani territory, foreign minister Sushma Swaraj said on Wednesday.The incursion across the ceasefire line that divides Kashmir came after New Delhi threatened retaliation over the February 14 suicide bombing that killed 40 Indian troops, and was claimed by the Pakistan-based Jaish-e-Mohammad (JeM) group. 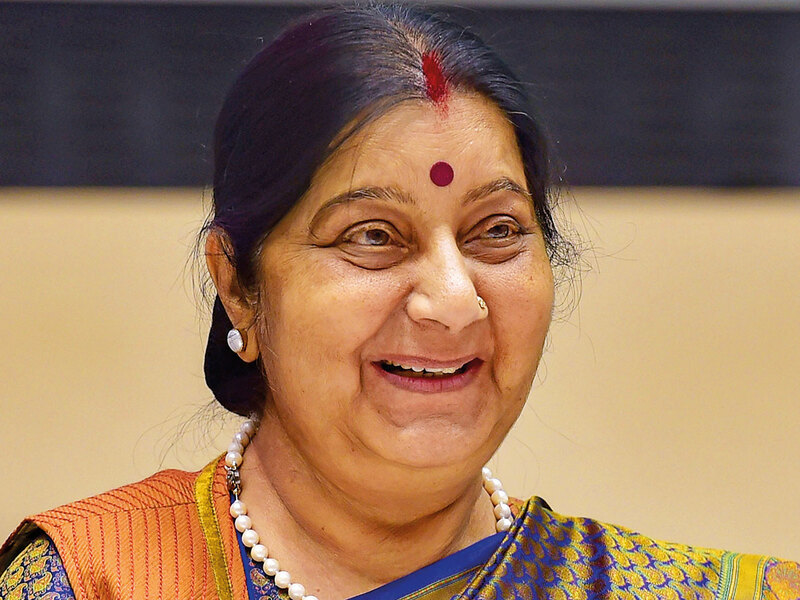 Swaraj stressed during talks in China with her counterparts from Beijing and Moscow that “no military installations were targeted” in the air raid, and the target was selected to avoid civilian casualties. She said the decision was taken “in the light of the continuing refusal of Pakistan to acknowledge and act against terror groups on its territory, and based on credible information that Jaish-e-Mohammed was planning other attacks in… (India)”. Pakistan denied India’s claim that the attack had inflicted major damage and casualties on militants, calling it “reckless and fictitious” and vowing a response in due course. The operation is India’s first use of air power on Pakistani soil since the two went to war in 1971. Srinagar: Heavy firing started on the Line of Control (LoC) on Wednesday between Indian and Pakistani troops in Jammu and Kashmir’s Uri sector, defence sources said.